This entry was posted in BitmapData, color, graphics algorithms, pixel manipulation, setPixel and tagged actionscript, color, flash. Bookmark the permalink. Post a comment or leave a trackback: Trackback URL. This is surprisingly intense for what it is… very cool though! 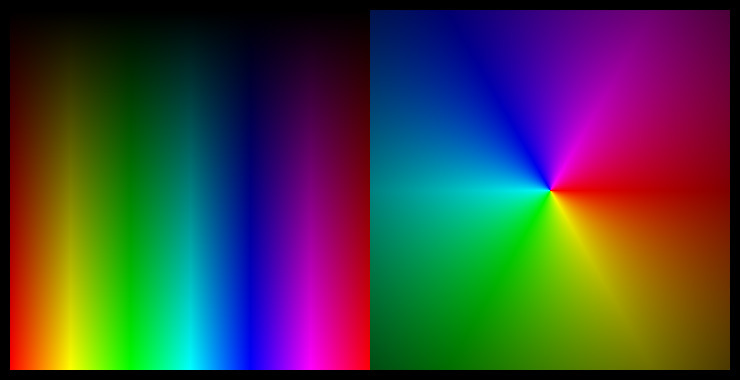 There is an omission in the hsv to rgb function, above, which would cause a rendering anomaly, if you provided a hue of 360.